Your iPad can get stuck in recovery mode for a variety of reasons. It can happen when you try to upgrade to the latest version of iOS or even when you perform a factory reset. 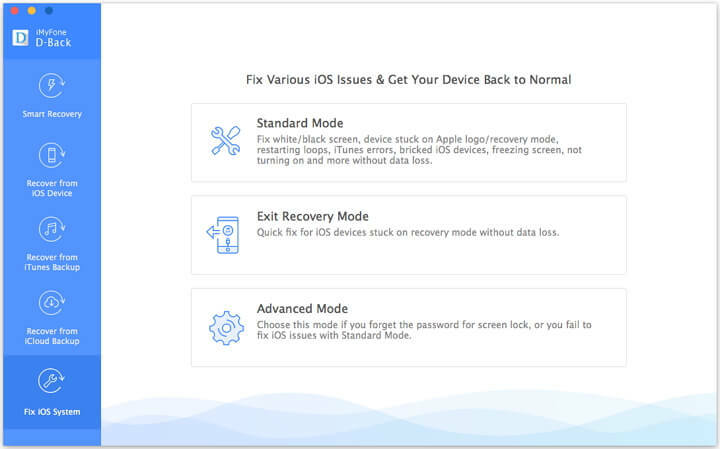 Because you will not be able to use the device until you can get it out of recovery more, this article offers you a few ways you can get your iPad out of recovery mode. Step 2: iTunes will detect the iPad and tell you that the device is in recovery mode and you need to restore it. Click “Restore” to complete the process. The only problem with this solution is that you will lose all your data since your device will be restored to factory settings. 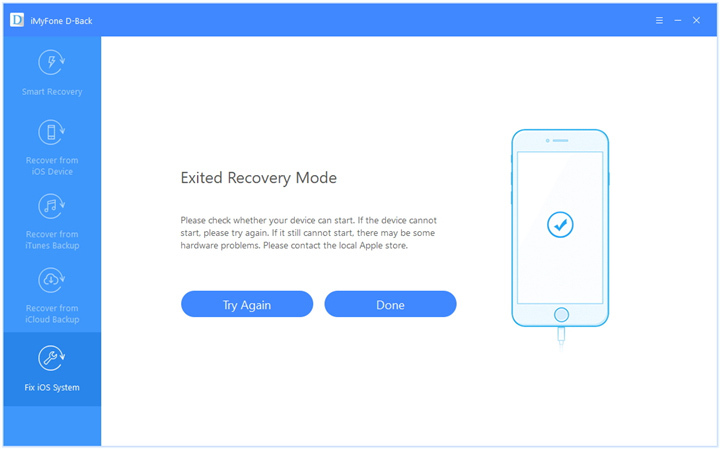 The best way to get your iPad out of recovery mode without losing any data on your device is to use iMyFone D-Back iPad data recovery Win or iMyFone D-Back iPad data recovery Mac software . 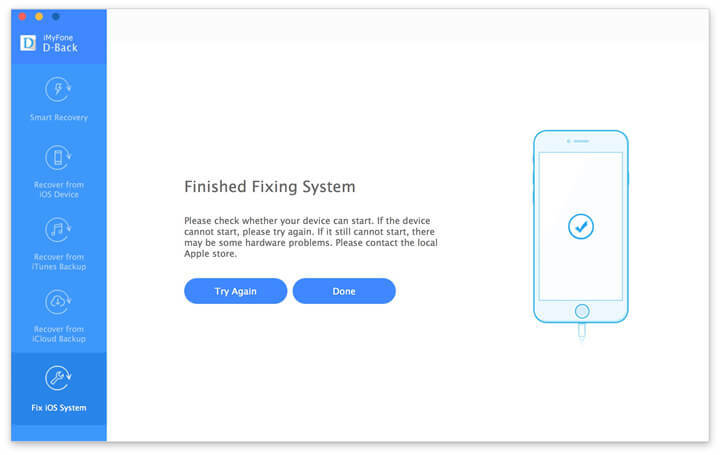 This 3rd party tool can be used to fix an iOS problem you may be experiencing including a device stuck in recovery mode, the black screen, the white screen or the Apple Logo. The following is a detailed guide to help you use iMyFone to fix your iPad. When you follow these steps properly you will restore your iPad to normalcy without any data loss. On opening the program on your computer, click on “Fix iOS System”. Next, connect your iPad to the computer using a USB cable and then click on "Exit Recovery Mode". The program will get your iPad out of recovery mode soon. If not please try again or try the Standard Mode. 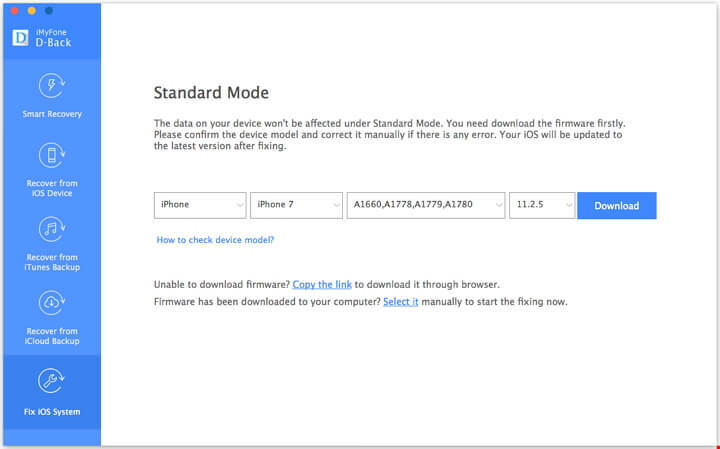 Under the Standard Mode, the program will then prompt you to confirm the selected device. After that, it will display an iOS firmware (iOS 11 firmware included) that is compatible with your iPad. Simply click on “Download” button. The firmware will be downloaded immediately. Once the firmware has been downloaded, click "Start to Fix" iMyFone D-Back will begin fixing your iPad to normalcy. Be patient until the process is complete. Your iPad will then restart and you can now use it stress free. 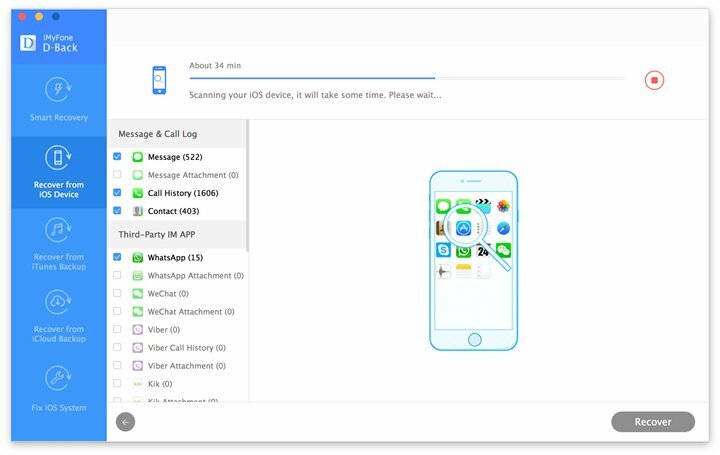 iMyFone D-Back (compatible with iOS 11) can not only help you fix your iPad but can also help you recover your data in case you lose some it during this whole problem. The following are some of the features that make it the perfect data recovery tool. 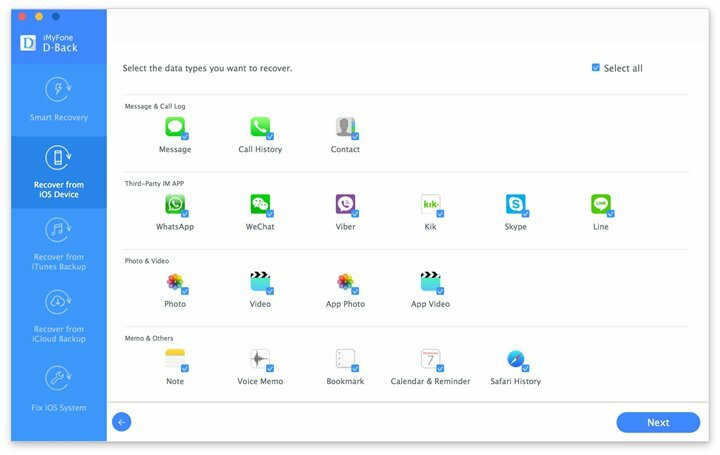 It can restore over 22 data types like Videos, Audios, Messages, Contacts, Skype History, App Photos, WeChat history and Voice Memos just to name a few. It supports many data loss scenarios such as; deletion, broken device, systems crash, iOS 11 upgrade failure and others. It has preview feature that allows you to check files before the final recovery. It is built with four ways in which you can recover data; Smart recovery, Recover from iOS, Recover from iTunes backup and Recover from iCloud backup. iMyFone D-Back can help you easily recover data from your iPad without any problems. Here’s how to do it. 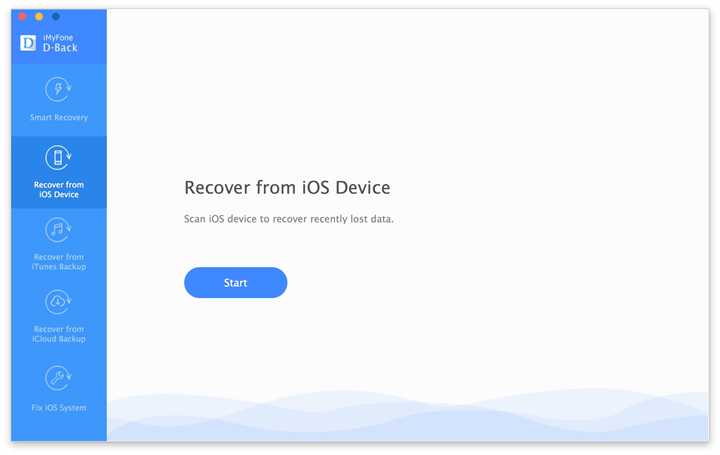 On the home window of iMyFone D-Back software, click on “Recover from iOS Device” as your recovery method. From there, click on “Start” and on the window that appears. Next, select the file types that you want to recover from your frozen iPad. Now that you have marked the file types to recover from your iPad, you can then connect the iPad to computer using a USB cable. Once the program detects your iPad you can click on “Scan” button. The files that have been scanned by the program will be available on the program window. This software is well built and categorizes the data types properly. 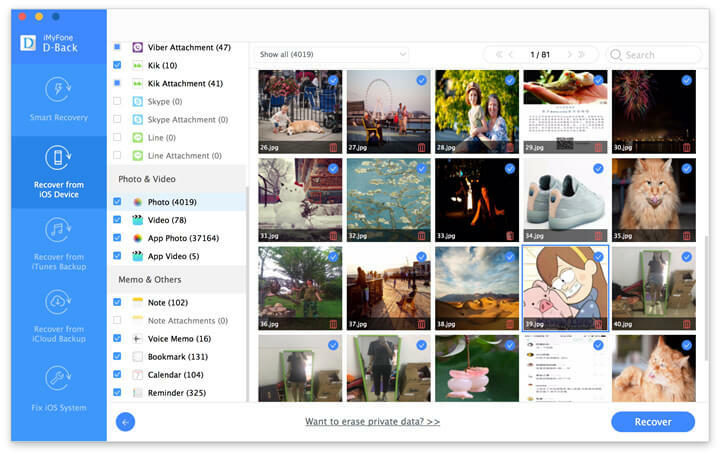 Click on each file type and preview its content. After that mark on the desired file types you want to recover and click on “Recover” button. You will then have to identify the location on your computer where you will export these files. iMyFone D-Back iPad data recovery Win or iPad data recovery Mac software (iOS 11 supported) can fix an iPad in recovery mode and also restore data in it within a few clicks.